How can I align my samples automatically? 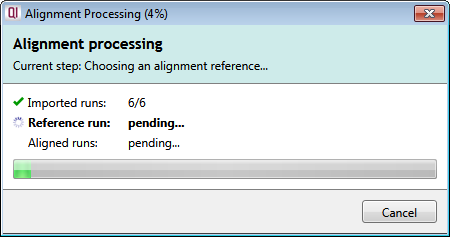 Allowing Progenesis to align your runs automatically is the most objective and quickest way of aligning your data. 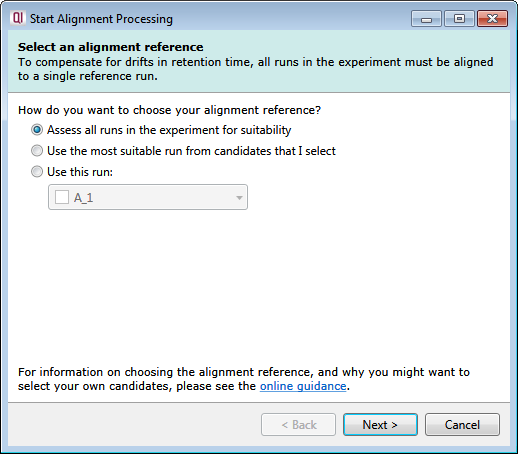 Select the method for choosing the alignment reference and click Next. In the next page, select Yes, automatically align my runs and click Finish. Why is alignment so important? How do I review and edit the alignment of my runs? How do I manually align runs that fail to align automatically?